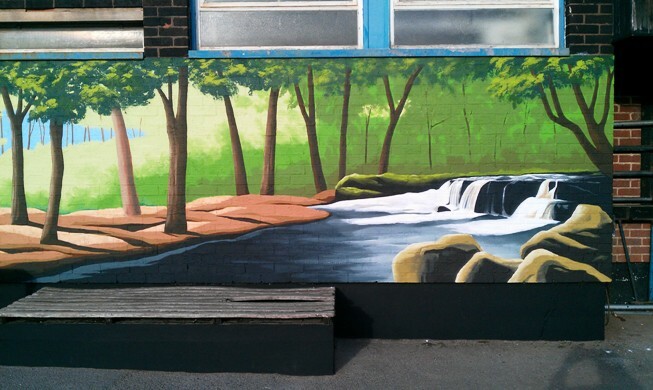 This is another long mural that was painted in a Dudley secondary school. At 92ft long we completed this mural in record time as we caught a good break in the weather and finished the mural in just 7 days. 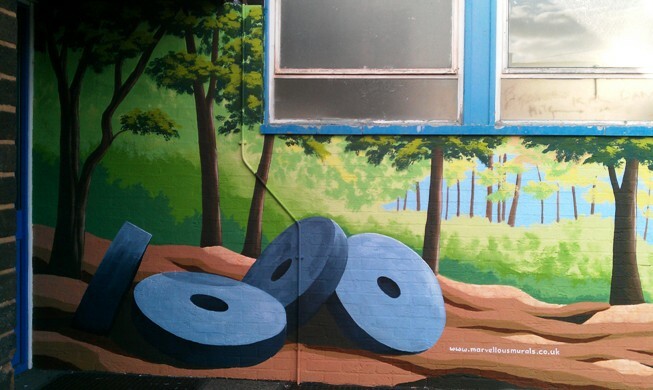 This mural featured a waterfall at one end and some half buried mill stones at the other. 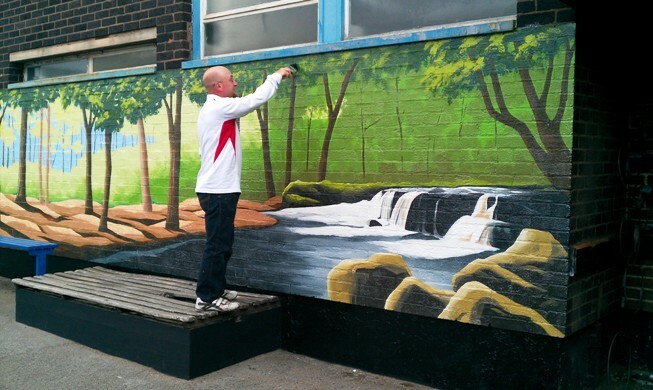 The finished mural was given a coating of anti-graffiti varnish for added protection. 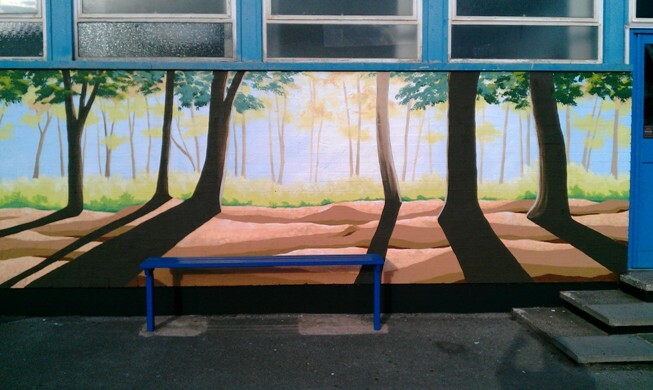 If you would like something similar to this in your school then please contact me for details.